Which Review Sites Allow Management Responses? 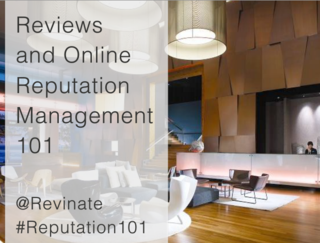 We kicked off our 2013 webinar series with our first Reviews and Online Reputation 101 session focused on how to expertly practice proactive and reactive hotel online reputation management. During the webinar, we received a lot of great feedback and questions from the audience. One specific question that deserves a detailed response regarded which review sites allowed management responses. 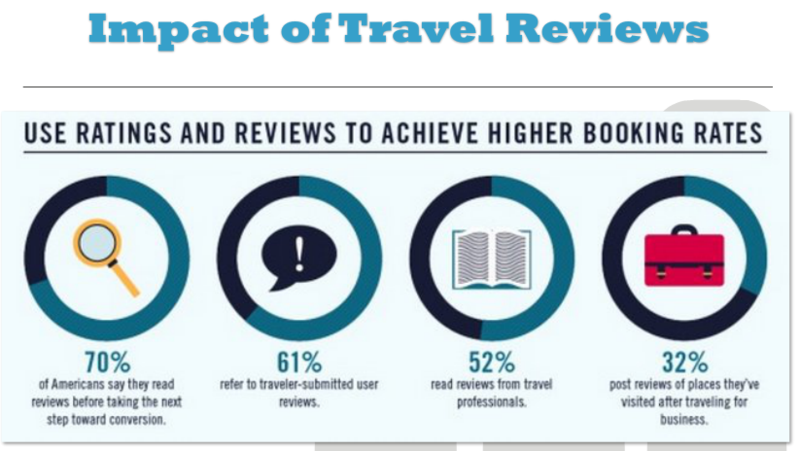 At Revinate, we’re always paying very close attention to the ever-evolving policies for each travel review site – which sites allow public management responses, which sites allow private ones, and so forth. While not every review site’s procedure for review replies is as user-friendly or intuitive as it could be, we’ll always make sure that we make it as easy as possible for you to respond within Revinate. As a Revinate Guest Feedback customer, you have the ability within the dashboard to take action on incoming reviews and create some form of review response. In order to use this reply function in Revinate, you will first need to claim and create your Business Owner profile with each site. Once you have obtained your login credentials from the sites, you can start responding to your reviews with the help of our Review Response Assistant! But what does this process look like for each review site, and how do you go about obtaining said credentials? Rest assured, our rockstar Client Services & Support team is here to answer these questions. Please remember that this information is constantly in flux. Revinate customers can CLICK HERE to access our most up-to-date information. TripAdvisor allows public management responses. Next to each review on Revinate, you’ll find the “Reply at Tripadvisor” link to respond to the review. To start replying, you must register as an owner at http://www.tripadvisor.com/Owners. Note that TripAdvisor also allows you to send a reviewer a private message which will be only sent directly to the review contributor. Expedia & Hotels.com allow public management responses. To respond, hoteliers must log in at Expedia Partner Central or can respond by email to Expedia. You can access Expedia Partner Central (EPC) at https://expediapartnercentral.com. EPC helps hoteliers manage their properties. When you first use EPC, please click on “Request a password” or follow this link: https://expediapartnercentral.com/new_account. If responding by email, please make sure you include your Expedia Property ID. The email address for Expedia is ehrr@expedia.com and the email address for Hotels.com is htlrvw@hotels.com. Booking.com – UPDATE: In February 2015, when Booking.com officially launched the management response feature to all hotels globally, Revinate enabled the ability for users to reply to a Booking.com review. The reply action is the first action icon to the right of the review, in the All Reviews stream. Public responses are captured and displayed below the review once they are posted live on Booking.com. Revinate provides a deep link next to each Booking.com review. You must register as a Partner to start replying at their Partner Center. Google+ Local (replaced Google Places) allows for public management responses. The response is public and Revinate provides a link, “Reply at Google”, that will take you to the review page in your Google+ Local listing. In order to reply, you will first need to Claim Your Listing. If you are having trouble verifying your Google+ Local listing, note that Google is now providing phone support for verification issues. Travelocity has a “Comment” button located at the bottom of each review to allow for management replies. This functionality also allows hoteliers to add photos and videos to the response. Use the “reply” link in Revinate to begin your public management response. OpenTable reviews have a “Contact Author” link that restaurateurs can use to access their OpenTable management portal and contact the author directly. This is not a public response, but rather a private message that you can send to the author of the review. To set up your restaurant profile, go to the Open Table Restaurant Center. Rakuten allows for public management responses on the Japanese site. Revinate provides a link that will lead you to respond. Before you start replying, a hotelier needs to set up an Owner Profile. Trivago allows for public management responses. Revinate provides a reply link and will capture the responses. To set up your hotel profile, please register on their Hotel Owner Page. HolidayCheck allows for public management responses on their site. 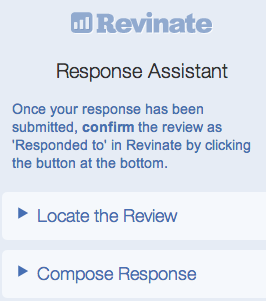 Revinate provides a “reply to review” link that will lead you to respond. To set up your hotel profile, please register at the Hotel Manager Page. Zoover allows public management responses. Revinate provides a “reply at Zoover” link that will take you directly to the section to start responding. Before you can start to respond, you need to register as an owner on their Accommodation Owners Page. HRS allows for public management responses. Revinate provides a “reply at HRS Portal” link and will capture the responses. To set up your hotel profile, please fill out an Application form with HRS. Qype allows for public management responses. Revinate provides a “reply at Qype/My Business” link which will take you to the Business Owners page to login. If you have not yet created an owners profile to begin responding, you can register on the Business Owners Page. Wotif allows hoteliers to reply publicly to a review. Revinate provides a “reply at Wotif” link which will redirect you to the Suppliers Extranet page to login. If you have not yet registered as a supplier, you can register on the Supplier’s Registration Request form.